The Shetland Sheepdog, or Sheltie, as it is affectionately called, is by all appearances a miniature Collie, and while it does share some genetic traits with the Collie, it is not considered to be of that breed class. The Sheltie is a member of the working class of herding dogs, and it continues to excel in that area. With the ability to learn commands in less then five repetitions, it is considered to be one of the most intelligent breeds. 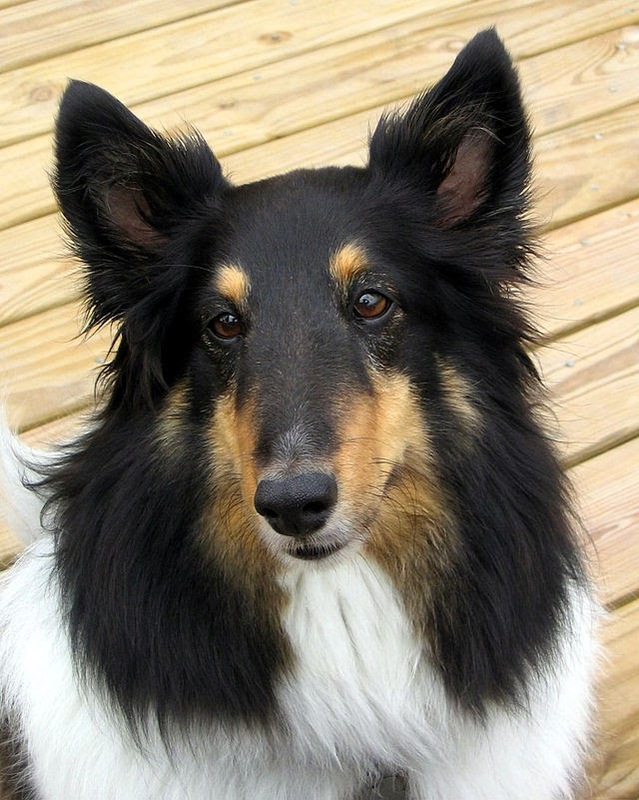 An alert watchdog and an affectionate companion, the Sheltie is an ideal breed for an active and youthful family. Shelties are a breed of their own, with the personality to prove it. This loyal herding dog was bred to help farmers and protect homes and is known to vocalize its protective instincts by barking. 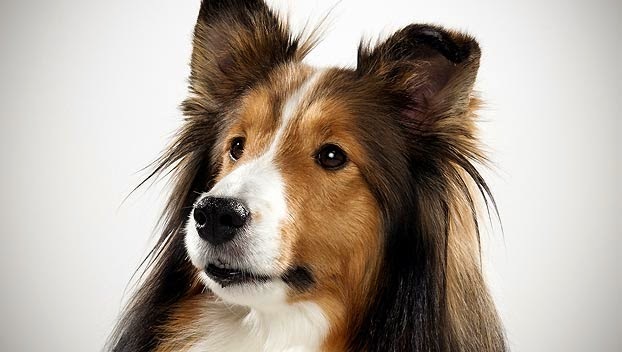 Intelligent as can be, Shelties rank among the top performers in agility and obedience training. Canines of the Shetland Sheepdog dog breed stood guard for farmers in the Shetland Islands off the coast of Scotland, keeping hungry birds and sheep out of the farmer's garden, and they served as herding dogs as well. Today they're excellent family companions and superstars in dog sports. Other identifiers: Many identify it as a miniature Collie. Small, triangle ears that flop over at the tips. 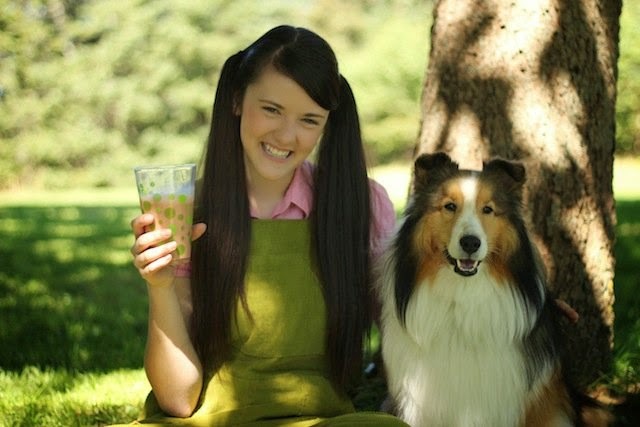 When the breed was originally introduced breeders called them Shetland Collies, which upset Rough Collie breeders, so the name was changed to Shetland Sheepdog. 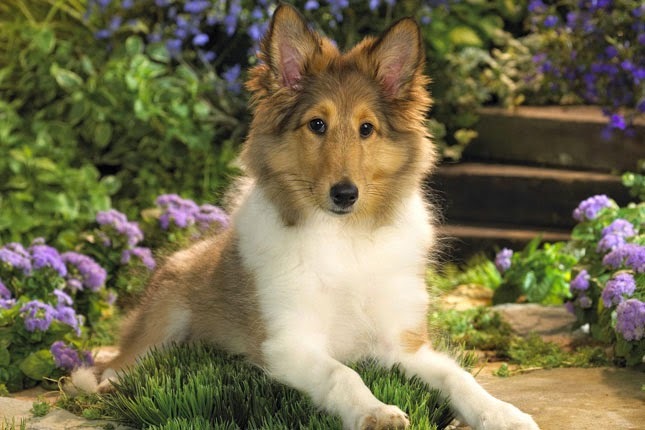 During the early 20th century (up until the 1940s), additional crosses were made to Rough Collies to help retain the desired Rough Collie type – in fact, the first AKC Sheltie champion's dam was a purebred rough Collie. The year 1909, marked the initial recognition of the Sheltie by the English Kennel Club, with the first registered Sheltie being a female called Badenock Rose. The first Sheltie to be registered by the American Kennel Club was "Lord Scott" in 1911. Begin training your puppy the day you bring him home. Even at 8 weeks old, he is capable of soaking up everything you can teach him. Never wait until he is 6 months old to begin training or you will have a more headstrong dog to deal with. If possible, get him into puppy kindergarten class by the time he is 10 to 12 weeks old, and socialize, socialize, socialize. However, be aware that many puppy training classes require certain vaccines to be up to date, and many veterinarians recommend limited exposure to other dogs and public places until puppy vaccines have been completed. In lieu of formal training, you can begin training your puppy at home and socializing him among family and friends until puppy vaccines are completed. The Shetland has a questioning, intelligent, gentle and expression. Even though it appears like a miniature version of Rough Collie, it has some differences as well. This agile Sheepdog has a small body that is long in proportion to its height. Its gait is ground covering, smooth, effortless, and, imparts good speed, agility, and endurance necessary in a herding dog. Its double coat comprises a dense, soft, short undercoat that effectively keeps the Sheltie comfortable in both cold and warm environments, with a straight, long, harsh outer coat that repels rain and moisture. The mane, tail, and frill have abundant hair, with the mane growing to impressive sizes on the male Shelties especially. Colors are various. The two main colorations are sable colored - a mix of dark and light brown with white - or blue merle, with gray, white and black. 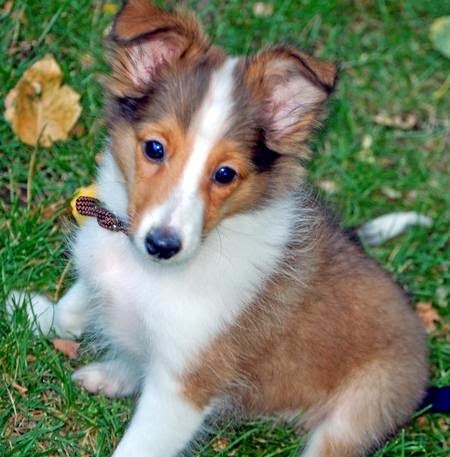 The Sheltie can be as small as 12 inches, and as tall as 16 inches, but in either case is considered to be a small dog. Sable – Sable is dominant over other colors. May be pure for sable (two sable genes) or may be tri-factored or bi-factored (carrying one sable gene and one tricolor or bicolor gene). "Tri-factored" sable and "shaded" sable are NOT interchangeable terms. A shaded dog (one with a lot of black overlay on a sable coat) may or may not be tri-factored or bi-factored. Tricolor – black, white, and tan. Tricolor is dominant over bi-black. May be pure for tricolor (2 tri genes) or may be bi-factored (carrying one tricolor gene and one bicolor gene). Bi-black – black and white. Bi-black is recessive. 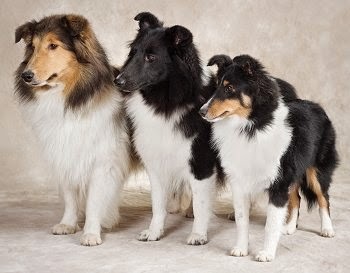 A bi-black Sheltie carries 2 bi-black genes; thus, any dog of any other color with a bi-black parent is also bi-factored. Any of the above colors may also have a color modification gene. The color modification genes are merling and white factoring. Merling dilutes the base color (sable, tricolor, or bi-black) causing a black dog's coat to show a mix of black, white, and gray hairs, often with black patches. 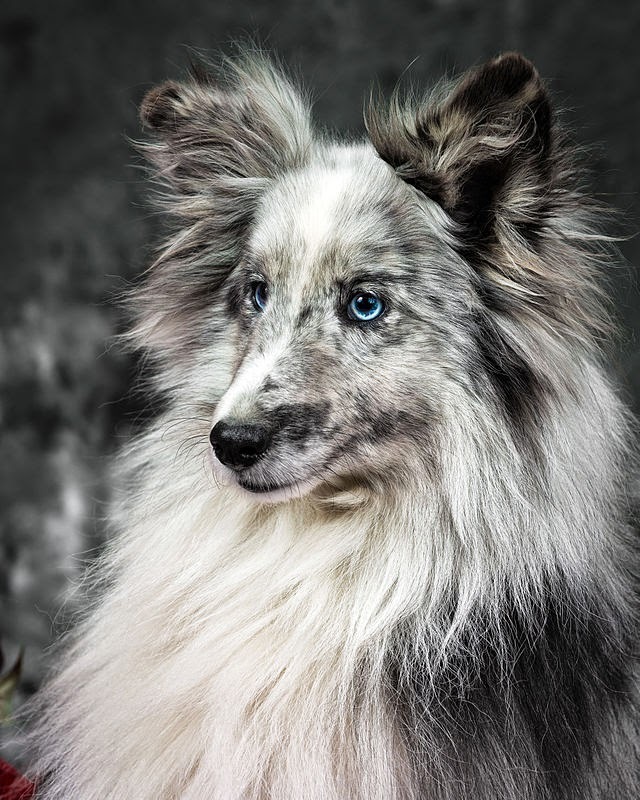 Blue merle—blue, white, and tan. A tricolor with the merling gene. May have blue eyes. Bi-blue—blue and white. A bi-black with the merling gene. May have blue eyes. Sable merle—faded or mottled sable and white. Often born with a mottled coat of darker brown over lighter brown, they usually present as a faded or lighter sable or can appear as a washed out blue-merle. Sable merles are shown in the breed ring as sables; therefore, blue eyes are a major fault in AKC. Blue eyes are not faulted in sable merles in UKC. White factoring affects the amount of white on the dog. It is hard to tell, without actually breeding, whether a dog is white-factored or not, though dogs with white going up the stifle (the front of the hind leg) are usually assumed to be white-factored. Breeding two white-factored dogs can result in color-headed whites-Shelties with colored heads (sable, tricolor, bi-black, or blue or sable merle) and white bodies. Since dogs with more than 50% white are heavily penalized, they are not shown in the breed ring, but are perfectly normal in every other way. 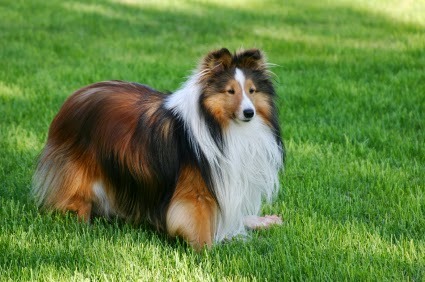 Shelties are a highly active breed and do best in outdoor environments where there is plenty of room to run. Farms and acreages would suit this breed perfectly, but apartment living could work provided they get consistent daily exercise and are trained to restrain their barking. Loyal to the core, this protective breed is loving and sweet but might intimidate strangers with its barking. If you're prone to allergies or simply dislike fur, you may want to opt for another breed as Shelties have a high-maintanance coat that sheds frequently. The Sheltie has a lifespan of 12 to 14 years and may be prone to minor concerns like patellar luxation, allergies, hypothyroidism, Legg-Perthes, canine hip dysplasia, hemophilia, trichiasis, cataract, Collie eye anomaly, and progressive retinal atrophy, or a major one like dermatomyositis. Occasionally this breed may suffer from epilepsy, von Willebrand Disease, patent ductus arteriosus (PDA), and deafness. Eye, hip, DNA, and thyroid tests are advised. Some may not tolerate ivermectin. One merle should not be bred with another merle as homozygous merle is harmful to health and can be lethal. This requires finesse. Shelties can have their feelings easily hurt by harsh treatment. Instead of yelling at your Sheltie for barking, acknowledge his alert and give a verbal reprimand only if he continues barking. In general, Shelties respond best to positive reinforcement such as praise, play, and food rewards. The Sheltie will do okay in an apartment if sufficiently exercised. They are fairly active indoors and will do okay without a yard. This active, graceful dog needs lots of exercise, which includes a daily walk or jog. They will also enjoy running free, but be sure the dog is in a safe area. Ch Halstor's Peter Pumpkin ROM - The Shetland sheepdog sire with the most Champions (160). Am/Can/Jpn/Int'l Ch.Golden Hylites the Phantom ROM - One of the most expensive and campaigned Shetland sheepdog sires, sold to a kennel in Japan for a large amount. Badenock Rose - the first Shetland sheepdog registered with the English Kennel Club. Sam - The Dog in the Lethal Weapon series, owned by Riggs. Doing what it was born to do — herding, guarding and even swimming. This active breed loves to spend its days filled with athletic activities. To exercise its brain muscles, enrolling your Sheltie in agility or advanced obedience training would be highly welcomed. Living on a farm or home with room to run would make this pooch extra happy.